When cats groom themselves, they often ingest a lot of hair. This hair often forms...hairballs! If you have a cat then you are probably all too familiar with trichobezoars! Wait a second…..WHAT?! What in the world are trichobezoars? Well, my cat loving friends…trichobezoars is just a fancy word for hairballs! Hairballs look like a tubular brown mass of well, vomit and hair. There are actually two different types of hairballs that your cat might cough up. The first is formed in the back of the throat and the other is either formed in the stomach or small intestine. If you haven't yet run for the hills in disgust, allow me to continue. As we all know, cats are very clean animals. They constantly groom themselves (when they aren't sleeping that is!). When cats groom, unfortunately, they ingest a LOT of hair…not to mention other dirt and particles that just so happen to be on their fur. The majority of the time, your cat will simply pass all of the hair that he has ingested when he goes to the bathroom (obviously through his poop, and hopefully, for your sake, in his litter box!). Though not often, the hair he licks off of his body can cause an internal blockage. If this happens, you will most likely need to take your cat to the veterinarian. 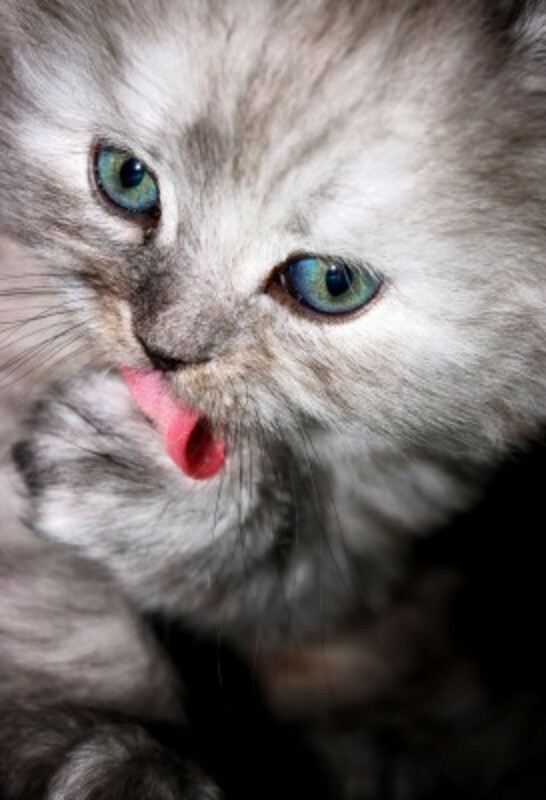 Hairballs (or if you prefer, trichobezoars) are the most common reason that your cat will vomit. 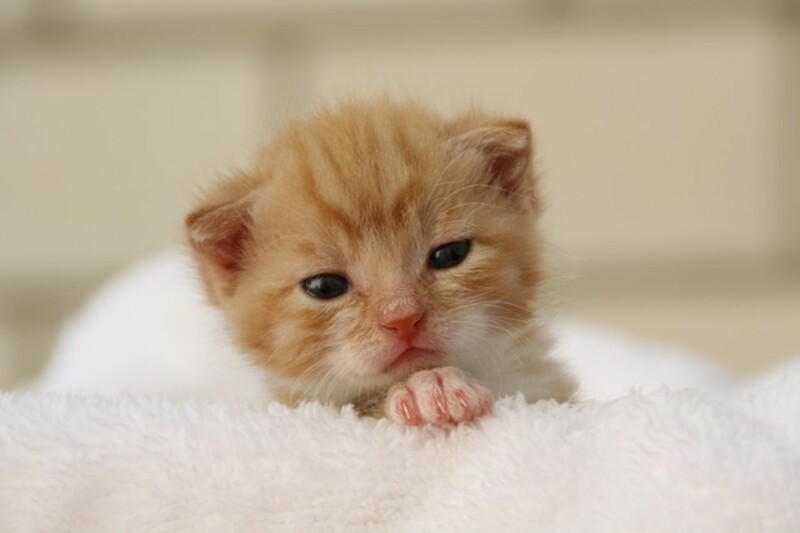 Most cats cough up a hairball at least one time per month (lovely!). In fact, approximately 60 to 80 percent of our feline friends will have a "hairball event" every thirty days or so. Really, it all depends on how often your cat grooms and how much hair he is able to lick off of his body. When a cat is trying to expel a hairball, you will know it! They make a horrible gagging and coughing sound that is, well, not pretty. If you notice your cat is coughing a lot…but is not actually expelling a hairball, you should take him or her to the vet for a checkup as there could be an underlying problem. Over all, coughing up a hairball is a very natural and productive kitty activity. Looking at and cleaning up a hairball is not fun, however, do not be alarmed! Your cat is after all, just being a cat! Time to get your cat grooming supplies out of the closet! 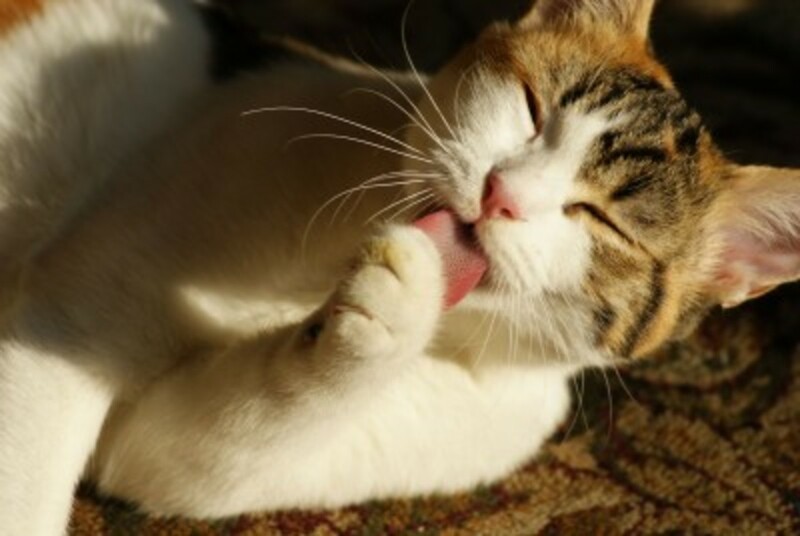 The easiest way to help control hairballs is by regularly grooming your cat. Daily brushings will eliminate a lot of the dead and loose hair that is on your cat's body and minimize the amount that he actually swallows. Another simple way to assist your feline when it comes to ridding himself of hairballs is through diet. Special "hairball control" diet foods are available including Science Diet Hairball Control and Purina Pro Plan Hairball Management Formula. If you wish, you can add a small amount of aloe vera juice, small amounts of bran, psyllium seed or even butter to your cat's diet. These items will assist your cat when it comes time for him to "pass" his beautiful, hairy creation. If you are not comfortable adding things to your cat's food, consult with your veterinarian for advice. They will be glad to help! So what have we learned? Well, dogs do not cough up hairballs, therefore, if hairballs disgust you, get a dog. JUST KIDDING! We have learned that hairballs are a natural part of your cat's existence. Though usually harmless, large numbers of hairballs can be dangerous and can cause serious cat health problems (such as intestinal blockages). In order to cut down on hairball production, take time to groom your cat and if you wish, buy him a special "hairball control" diet food. Cats are wonderful, independent pets that don't require a lot of maintenance. If you spend a few minutes per day brushing and bonding with kitty two wonderful things might just happen. One, you and your cat will become the best of friends, and two, you will spend less time scraping up nasty hairballs out of your carpet. Have fun and here's to a trichobezoars free life (if that is even possible). Brush your cat to reduce hairballs. 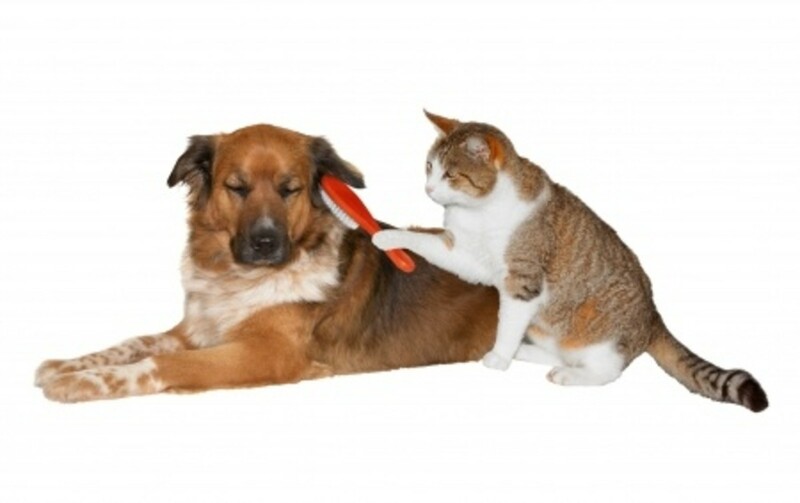 Wait a minute....the dog should be brushing the cat! I found this very interesting. I've had many cats over the years and none of them ever had a problem with hairballs. Just recently, however, my beloved eight year old cat started to be regularly sick to the point where he couldn't keep anything down. I thought it must be cancer and took him to the vet with great trepidation. However, it turned out that over the years a giant hairball had built up in his stomach, a common problem apparently with fastidious cats of his age. Thankfully, it was easily treated with pills and antibiotics and he's back to his normal self now. I have had many cats and at this moment have 4 but i have never seen any of my cats have hairballs, lucky. But i do have a cat that has coughs alot so i will get him checked by the vet because of reading this. Just to make sure he is ok. The first time I saw one of them, years ago, I did not know what it was. Then after the 7th one...a little lightbulb lit (really) and I automatically said"OH! that's what that is!" Yes, good tip.. proper grooming helps alot.